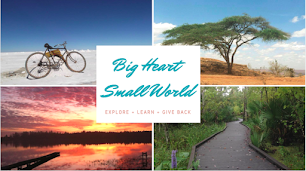 Big Heart, Small World: Why???? Because I want to. Why???? Because I want to. I just got back from the toughest hike that I have ever done in my entire life. It will probably be one of the toughest hikes I will ever do. Why do I choose to torture myself? Because I love the feeling of accomplishment. I love to look down from a mountain and say "I hiked all that?" I love to see beauty from a different angle. Any I love to tell stories. As you might already know I am alive. I survived one of the hardest and scariest hikes that I have ever done. It started off with the idea of climbing a volcano. How hard can it be right? Wrong!!!! Volcano Villarrica is one of the many active volcanoes in the Pucon region. Its 2847m (that's 9340 feet) we climbed starting at 1400meters (that's a total of 4747 feet of elevation gain) in 5hours over 3.1 miles and that's just one way. It started last night when we tried on mountaineering boots that were impermeable to the snow and fitted with crampons that could be attached when needed. We all packed our lunches and went to bed early. At the base we pack up our packs with food, gear, water, and small plastic sleds. We were all expecting to take the lift that would save us an hour off our hike and 1000ft of climbing. Unfortunately due to wind the lift was closed. Our group of five tourists and two guides headed up the trail. At first it started out very clear dry and warm. We were wearing no more than thermals and our hiking boots. I had seen on a blog that the first part without the lift was the hardest part and a waste of energy. Everyone recommend the lift. It was true that is was hard but it was definitely not the hardest. At first we waked on gravel made from volcanic rock. Every step we took sunk into the gravel making it very strenuous to gain elevation. We stopped a couple times to take pictures and snack but our guide was very pushy and never let us rest long. In the first part of the hike three of the five fell out leaving only two of us. Then we hit snow after 2hours of climbing. We strapped on our crampons, gators, and helemet and got a quick lesson of how to use the pick-ax and what to do if you start to fall. Remember that at this time of year the snow is more like ice and there is nothing stopping you from rolling down the side of the mountain other than rocks, so it is important to know how to use your gear properly. On top of that two weeks ago two people had died because they slipped and fell. We began to walk. Every step was painful. The mountaineering boots were much heaver than hiking boots and the metal crampons just added the the weight. Each foot was carrying close to 5lbs. The guide and the two of us hiked in a zig-zag line up the snow. We spent two hours hiking carefully up the glaciers, using guide lines to cross a couple of ravines. Finally we crossed the glaciers and happened on more volcanic rock and hardened lava. We took off our crampons and began to climb on the volcanic rock. This was very hard because many of the rocks were lose and when they were dislodged we all had to scream "ROCK" so that people would be aware of it below. The volcanic rock was also very rough and it would scratch your hands when you went to grab onto it for balance. We hiked for an hour up the rocks before finally reaching the crater. It was amazing. Huge. It was lined with red, orange and green rocks and smoked constantly. At one point I was able to see some red lava spew up and then hardened on the surface. It was awesome, definitely worth the hike. The guide showing us how to slow down while sliding. It was time to head down. The fumes at the top can be noxious and there were clouds gathering around the volcano, decreasing our visibility. The quickest way to descend is to slide. We put on protective bottoms and gloves. Got on our butts and slid down these slides formed by the snow. This was the scariest thing I have ever done. We slid so fast using our pick-ax to one side to slow down. We had to be careful to keep our legs bent and together so that we did not break our legs if we hit ice or a rock. We slid so fast and it was hard to slow down until you reached the bottom. We slid down full speed, crossing the entire glacier in 30mins. We then descended the rest of the way on foot. It took us a total of 2 hours to descend. It was great getting down. It felt so good to look up at the mountain, surrounded by clouds, that I just climbed. I am very tired but if feels good that I worked hard to accomplish something amazing. Why ???? Because you are stubborn, take chances and push forward....getting the most of this journey we call life. Great adventure, great sorroundings,tough girl. Adrienne you've surprised us all. Intrepid ! !